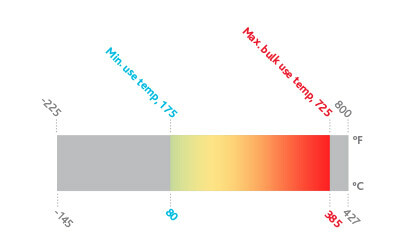 High-Temperature Stability and Performance—Therminol 75 is an exceptionally stable heat transfer fluid. It delivers a heat transfer coefficient which is equivalent or higher than other natural or synthetic liquids in the same boiling range. Low Pressure—Therminol 75 is designed for typical liquid-phase heat transfer fluid systems which operate at low pressures. Critical System Design— Due to the high melting range 40°-70°C (104°-158°F) of Therminol 75, proper system design is important for reliable operation.